2 Face collection. Brushed Silver Mesh. Tap centre to switch between face open or closed, tap mid left next ucolor, mid right previous ucolor for font. 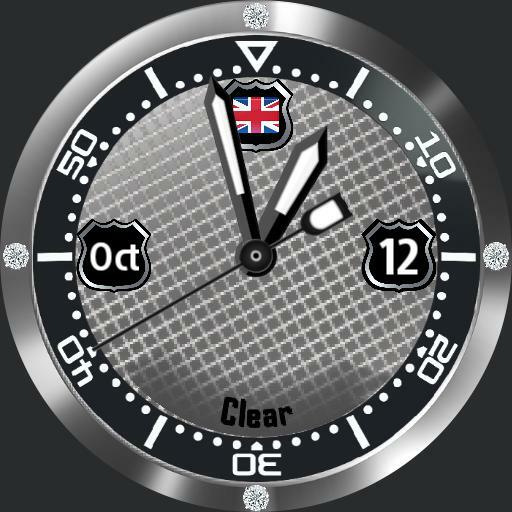 Face 1, vertical scrolling date, and time, Stopwatch. Weather icon. Current daytime temperature, power levels for watch and cell. Face 2. Analogue face, short month, day number. and weather condition.